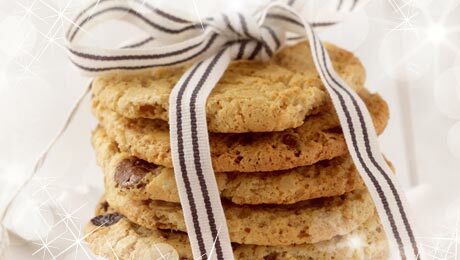 Chocolate chip cookies are a firm favourite in our house and always go down a treat. The beauty of this recipe is you can vary it. I like to add mixed spice and dried fruit as an alternative to chocolate chips. In a separate bowl, add the mixed nuts and the chocolate chips. Divide the dough, roll into balls and place, well spaced, on a lined baking tray. Bake for 12-15 minutes in a preheated oven (180°C/350°F/Gas Mark 4). really good it was fun to make and tasted great!